In today’s world of same-day delivery, fast-casual dining, and a seemingly perpetual expectation of instant gratification, there are some things for which a quick fix may not be the most prudent way to go. Psychotherapist Enrico Gnaulati says therapy is one of them. 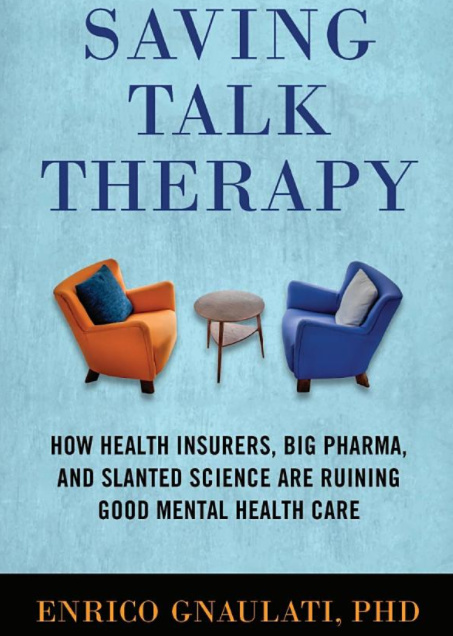 In his new book “Saving Talk Therapy,” Dr. Gnaulati breaks down what he says is a migration away from traditional talk therapy, thanks in large part to things like the prevalent use and availability of psychotropic drugs and the ever-shifting landscape of our current health insurance market have worked against traditional talk therapy -- sitting down with patients and talking about their emotions, feelings, and how they influence the way we perceive our world and the decisions we make every day. AirTalk fill-in host Alex Cohen sits down with Dr. Gnaulati to talk about why psychotherapy has moved away from its traditional, emotionally-rooted beginnings and whether we can expect a return to those roots in the future.